HOME favourite Lucas Herbert is targeting a first professional win as he returns to familiar territory at the ISPS Handa Vic Open. The 23-year-old enjoyed a successful rookie campaign on the European Tour in 2018, finishing in 46th place in the Race to Dubai Rankings, thanks to five top five finishes and seven top 10s – including a career-best tied second place finish in the Portugal Masters. As the highest ranked Aussie in the field at 13th Beach Golf Club this week, Herbert is aiming to capitalise on that run of form. 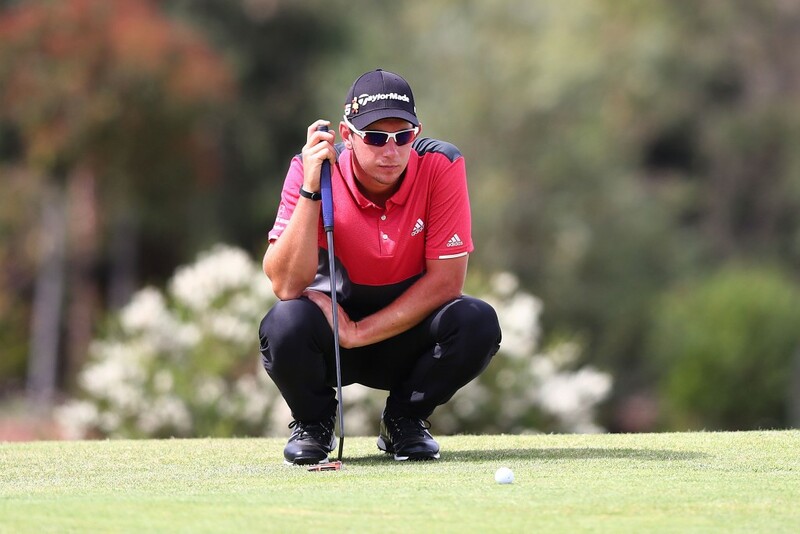 He has knowledge of the course in Barwon Heads, just outside Melbourne, where he came close to victory two years ago, eventually finishing in a tie for sixth place after falling away over the last four holes. Lucas said: “I felt like in Abu Dhabi and Dubai I probably played a little better than scores indicated in the end. “Hopefully I can continue that form into this week and next week. “Give myself a good chance to be up near the lead and back in front of the cheering crowds. “Playing with Jason Day at the Australian Open 2017 was the biggest learning experience for me. “I got to see what his game is like and how mine stacked up against it, and I think that gave me a lot of confidence and matured me quite a bit. “Then definitely the past year in Europe I’ve been able to get a lot more experience, play a lot more events and see what worked week in and week out. “I nearly won here in 2017, just finished off badly in the last four holes. I think back to then, I was a pretty different golfer. “I made a lot of big changes and big steps since then, but then obviously the event’s grown as well. Herbert is joined in the field by another local hero in Major winner Geoff Ogilvy, who tees it up in the Vic Open for the first time since 1998. The 2006 US Open champion is aiming to claim a maiden victory in his home state Open after finishing as leading amateur in each of his three previous appearances in 1995, 1997 and 1998. He was runner-up overall to Stephen Leaney, at Victoria Golf Club, in 1997. Ogilvy said: “My mum and dad lived on site here until this year, they just moved back into Geelong, so I’ve spent a fair bit of time here. “Haven’t played it as much, weirdly enough, because it was always vacation time. “I want to play better than I’ve ever played. I’ve still got an itch to scratch, there’s a golf feeling in me that I haven’t felt probably consistently. “I know there’s better golf in there. “Whether it translates into better scores and winning tournaments, it’s not really about that. I just want it to feel great. “This is two real golf tournaments played at the same time. You need 36 holes do it, I guess. “I want to be part of that. Equal money on both sides, spectators on the fairways, alternating groups, cool venue. The 41-year-old former World No. 3 and four-time European Tour winner is the first men’s Major champion to play the event since Ian Baker-Finch in 1997. The ISPS Handa Vic Open was first played in 1957 but appears on the Race to Dubai for the first time this season. It’s a unique format in professional golf with men and women playing on the same courses at the same time, for equal prize money. The men’s event is co-sanctioned by the European Tour and the ISPS Handa PGA Tour of Australasia, while the women’s championship is co-sanctioned by Australian Ladies Professional Golf and the LPGA (Ladies Professional Golf Association). All rounds will be played in alternating men’s and women’s groups on the Beach Course and Creek Course at 13th Beach Golf Club. A field of 156 men and 156 women will play one round on each of the first two days on both courses. There will be two cuts – after round two and round three – with all of the weekend action taking place on the Beach Course.